COLUMBIA - Missouri is one of 21 states choosing not to expand Medicaid, the public insurance program for the poor. Without expansion, many below the poverty line will not benefit from the Affordable Care Act's new coverage options and hospitals may cut jobs and services. Most of Missouri's poorest, working residents - those under age 65 and below the poverty line of $11,490 for an individual, and $15,510 for a couple - will not be eligible for government assistance. "They're the poorest. They're the people at 100 percent of federal poverty level or below," Gloria Crull said. "The ACA was designed with Medicaid in place as a portion of the coverage, and when the Supreme Court decided that would be optional for states, and Missouri opted out, that leaves that portion of patients without any coverage at all." Crull is the chief executive officer of Columbia's Family Health Center. She said Medicaid patients make up more than 50 percent of its business and uninsured patients make up about 25 percent. Medicaid covers more than 870,000 Missourians, and is geared towards seniors, people with disabilities, pregnant women and certain families with children. Eligibility standards vary between groups. For example, to be eligible, a single parent with two children is limited to an income of $3,711 a year. "I think there are going to be a group of patients who would like to purchase insurance but will not because Medicaid was not expanded," Crull said. If Missouri were to expand Medicaid, the coverage gap would be closed completely, ensuring a healthcare option for every Missourian. Under the Affordable Care Act, those making less than 138 percent of the poverty level, or about $32,500 for a family of four, were supposed to be covered by an expansion of Medicaid. In Boone County, 9,783 people under the age of 65 are uninsured and do not meet the requirements, according to the U.S. Census Bureau. That number ranks Boone Country as the sixth highest in the state. The vice president for health policy at the Missouri Foundation for Health is heavily focused on educating Missourians about health care changes, qualifications and options, as well as lowering the number of uninsured people in the state. Ryan Barker is part of the Cover Missouri Coalition. Their goal is to bring the percentage of uninsured Missourians down from 17 percent to five percent in five years. Nearly 877,000 Missourians are uninsured. Barker said because Missouri is not expanding, the process to see if a person is qualified through the marketplace would be more complicated. "We're going to have low-income, working people Missourians that go to the marketplace, put in their information and it's going to tell them, ‘You're not eligible for Medicaid and you're not eligible for subsidies in the exchange,'" he said. "With the coalition, we're making sure that the least we can do is try to connect them to some of the safety net clinics that see uninsured patients." Sen. Gary Romine, R-Farmington, said Missouri must reform the flaws in the current Medicaid system before looking to expand it. The Medicaid Reform and Transformation Committee met last week to hear from other states that have expanded Medicaid in hopes of reforming the current Medicaid system. Romine is the chairman of the committee. "Florida, in 2006, started a reform program before it was mandatory and had some good experiences and we want to glean through some things that worked for them," Romine said. "It's not a one-size-fits-all project." He said one problem is the misuse of emergency rooms. 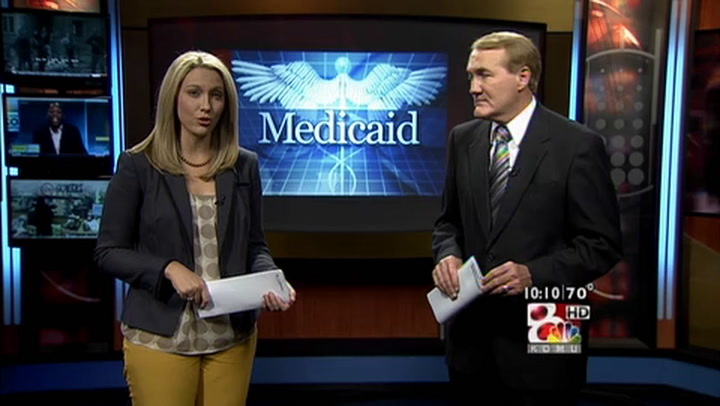 Dr. Randall Haight sees a few Medicaid patients each day at the Capitol Region Medical Center in Jefferson City. "Uninsured patients will come to the emergency room for a cough or sore throat," he said. "They may have tried to see another office but couldn't get in anywhere because they didn't have insurance. You have multiple people coming in for these non-emergency situations that leads the emergency room to prioritize who they're seeing." The director of the Missouri Health Advocacy Alliance said many hospitals are already suffering from the lack of expansion. Andrea Routh said, "The Affordable Care Act reduces payments to hospitals over time for the care that they used to give to uninsured people, because the idea now is they're going to have insurance." She said if payments continue to decrease with Medicaid expansion, hospitals would not fare well. "Some of them will have to cut essential services like psychiatric beds. One hospital group said they may have to cut labor and delivery. A Kansas City hospital, Truman, may have to cut their level one trauma center, and that serves the entire population, not just Medicaid patients." she said. Spokesman for the Missouri Hospital Association, Dave Dillon, is also worried about maintaining hospital services. "Will we be able to stay above that zero that you expect a non-for-profit? If we can't stay above that line, you're going to see hospitals have to make decisions about service lines, employees, investments in their facilities and they could even close," he said. One in seven Missourians is uninsured, he said, and without Medicaid expansion, taxpayers might pay more money to maintain hospital services. "Almost immediately, we saw some hospitals say, 'Well, we can't continue to run an ambulance service, so we're going to give that responsibility back to the county,'" Dillon said. "The county taxpayers are then on the hook for it. It doesn't go away. The cost doesn't go away; it's just shifted elsewhere." Dillon said taxpayers are paying for the uninsured in a "hidden health care tax." Missourians who have insurance pay a tax fee that does not show up as a line item on their bill that goes towards hospital fees for caring for the uninsured. "Missourians are already paying for the Medicaid expansion and paying for the subsidies in the health insurance marketplace," Dillon said. "Why would we want to continue to pay for the cost of the uninsured just because, as a state, we made a policy decision not to expand Medicaid?" But if Missouri lawmakers have their way, as well as governors and legislatures in nearly a dozen other states, low-income Americans may not have expanded access to federal funds needed for vital procedures. The majority of Missouri lawmakers feel the expansion is an unnecessary government overreach at a time when spending should be limited, not expanded. Romine said there is too much uncertainty, including long-term costs for the state, in the Affordable Care Act. "We've seen a lot of different issues that have come up over the past year or so that indicates the ACA has some pitfalls," he said. "We want to make sure that before we embrace ACA and Medicaid expansion, we don't fall into those problems." The associate dean of public health at Washington University, in St. Louis, worked on a study that concluded expanding Medicaid would actually save the state money. "For the first three years, 100 percent of the costs will be picked up by the federal government, and after that, 90 percent of the costs," Tim McBride said. "If we expand Medicaid, a large number of federal dollars will flow into the state of Missouri, estimated to be about $2 billion eventually. This means more dollars for providers, which are hospitals, physicians, nurses; and more dollars for jobs." If Missouri were to expand Medicaid, 351,000 people would be newly eligible to qualify for coverage. Open enrollment in the marketplace begins October 1. Only then, will people know if they fall into the existing coverage gap or are eligible for government assistance. The Affordable Care Act goes into effect in January.